I want to start this entry by removing the “elephant” in the room (which is only appropriate because I’m in Africa ;) ) and say that the challenges that I’ve faced with my health have definitely created an unusual first few months on the field. Instead of settling in and immersing myself in learning languages and a new culture, I was chasing doctors and trying to get out of pain. That being said, there has been a lot of unplanned events, however God has done great things and taught me a lot. 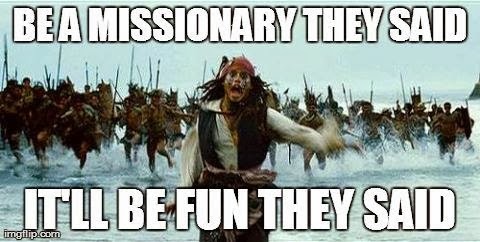 Here’s some humorous pictures to illustrate how I feel followed by what I’ve learned in my first 6th months as a missionary in Africa. #1–I confirmed my hatred for bugs…Yes it’s true! I’m a girly girl and while I already couldn’t stand bugs, I’ve confirmed that there is indeed a hatred for them and I’m sure I’ll be asking God one day in Heaven what the purpose of creating them was. The top of my list of questioning is anything that stings, then the newly acquainted bed bugs, closely followed by mosquitoes, safari ants and last by certainly NOT least, cockroaches. #2—Carpet is now weird to me. Tonight was the first time in 6 months that my feet touched carpet and it was really REALLY weird! I didn’t even know why I stopped walking and felt weird for a minute or so and then I realized it was because I was on carpet. Everything I’ve walked on has been tile, wood, or rocks. #3—I have an appreciation for simplicity. I downsized significantly when we moved to Madagascar. We bought basic things that we would need to live there, but for the most part I had to detach myself from a lot of things and come to terms that it was all just “stuff”. When we came to Kenya for only an intended 8 day trip that then lasted for 10 weeks due to medical reasons, I learned that less is more and I really CAN survive on minimal clothes, no computer, my every day items, etc. We stayed in 10 difference places and being ill in all of that transition was difficult, but certainly not impossible. When we went home to Madagascar at the beginning of July, I was actually overwhelmed with how much I really did have. I sat on the floor in my bedroom more than once and cried because I didn’t know how to decide what to wear. Now that I’m back in Kenya with yet again only one piece of luggage, I’m learning to not hold onto anything I own and it’s freeing in a way. God has continually provided over and over for Stephen and I in our nearly two years of being married and we’ve never lacked in anything from furniture to food. In going through testing, my attachment to material things has changed so much. Just when I think I’m missing out or start to desire things on this Earth, God surprises me with something of more eternal value. No matter what difficulty might have been going on personally, people who need Jesus have always surrounded me. This has caused me to continually pour out love. We’ve seen God touch hearts at gas stations, restaurants, hospitals, doctors’ offices and in church services. I just happen to be in Africa, but you don’t have to travel far to bring hope into someone’s life. People need Jesus all around you in everyday situations that you find yourself in. #5–Being myself is all I need to be. I stepped into this season feeling uncomfortable in so many ways. I faced leaving all that was near and dear; my hometown, my own background of ministry, my friends and family. 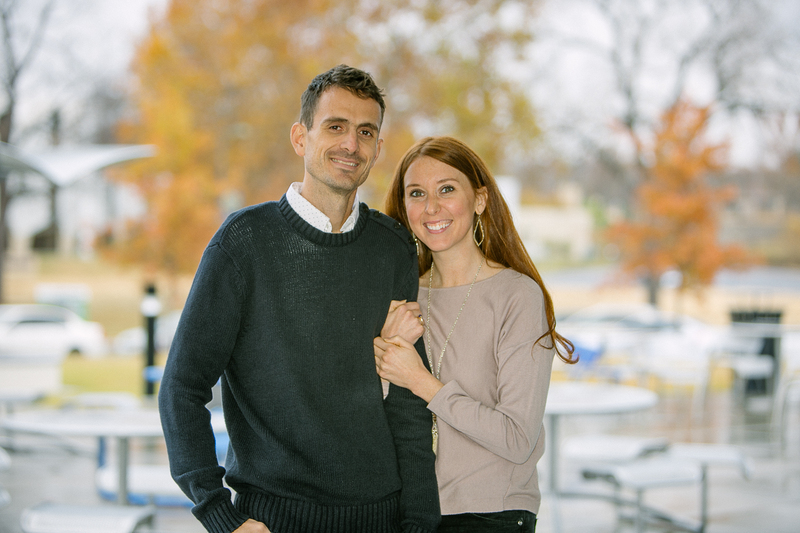 I lacked full-time missions experience in comparison to my husband who is a linguistic and is in my opinion a stellar missionary. 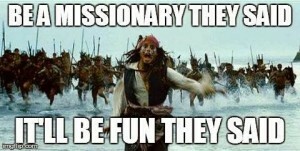 I compared myself to other missionary women who have raised grown kids, lived overseas for many years, were skilled in sewing, and great cooks. I’m not a Susie Homemaker or from the denomination that I’m currently working for and I felt awkward. 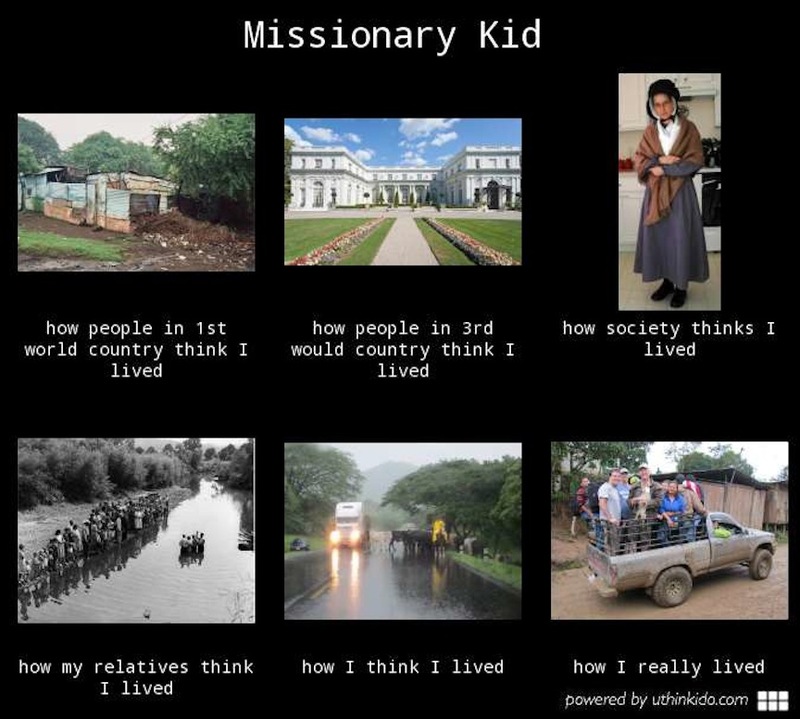 To add to this, as a missionary, you’re trying to adapt to a new culture and learn new languages. The art of comparison was a daily challenge and I felt pressured to change who I was. I’m still learning all kinds of new things and I love learning and growing, but I’ve learned most to be content to be who God created me to be. If God wanted to raise me any other way or with any other background and skill set, He would’ve done so. When I operate in insecurity and pressure, I can’t contribute my God-given uniqueness to an environment…and let’s be honest; I will just be really awkward ;) I have my weaknesses, my quirks and shortcomings, but even in this I have to allow God to work on me and through me. If I’m not being true to myself, I’ll fail to represent God rightly to others. #6—I often miss weird things about home. The other day I literally daydreamed about donuts…((GAGS))! I can not even tell you the last time that I had one which was 4 or more years ago. There is absolutely no way if I was in the States that I’d get near a donut and be tempted, but literally I desired it the other day. I need help people—keep praying for me! ;) I find that I often miss odd things like that which symbolize home or wish I was home to participate in things that I probably wouldn’t have even done if I was there. Seriously I’m the type of person that HAS to interact with others. I work better when I am around people. I’ve always thrived in jobs where I was interacting with others. This season of very limited Internet and most of my relationships being thousand of miles away has been more than challenging. I’ve found myself even today completely STARVED for social interactions and upon meeting up with an old friend I just want to chat chat chat. If I come home and talk even more than usual, please extend some grace ;) I’ve been in new culture and foreign languages where I pantomime most of the time…and talk to my sweet patient husband all day. What do I miss most about home? People. What is the best part of every day? People. I guess this just means that I am in the right job to serve and love people :) But really…I need social interactions with peers! #8–I have my dream job, but it’s not dreamy. My pictures at the top describe how I feel often. But really, I’ve dreamed of being in Africa since I was a little girl and as a missionary for about a decade. It’s not that I romanticized it entirely, but I have found that I did to a degree. I’ve found that it’s not always easy to be far away from all that was comfortable and facing challenges that you’d never face back home. Yet at the end of the day it is fulfilling, as it’s what I’m supposed to be doing. I cry when I think of lost people around me, when I see them hurting, and when I hear stories that demand a response from God. It’s heartbreaking to continue to see pain and lost people and to know that not all will find salvation and freedom. This is why I know this dream to go to the nations is of God and not something that I dreamed up. 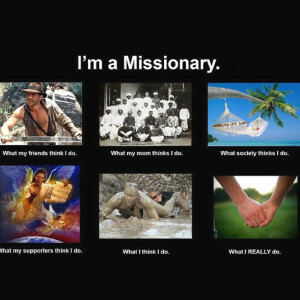 #9–Missions is as much for you as it is for me. I’m not suggesting that everyone reading this is called to go into full-time missions, but I also don’t want to suggest that I’m specially qualified for this. In fact many of you would have slept more and functioned higher here than I have in this season ;) I’ve realized more than ever that I NEED Jesus absolutely EVERY moment of EVERY day. 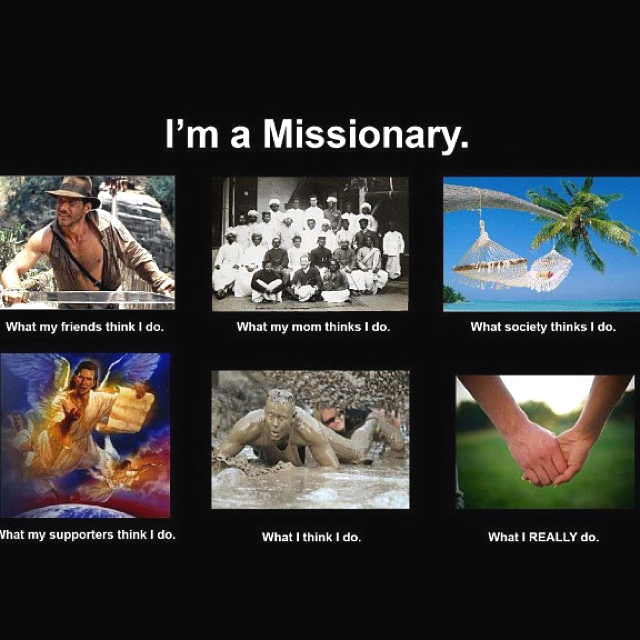 I’m not anyone who is qualified in a special way or permitted more grace than anyone else to be a missionary. God’s heart beats for missions and because I fell in love with His heart, my heart beats for it too. That’s why I am here in Africa and the same can apply to you wherever you are and whatever you’re doing. As a child of God, you too can be whoever He has called you to be by simply loving Him and obeying Him. If he calls you to move your life overseas and do missions work, you CAN do it! If you’re called to start a business or get a higher education to serve Him with, you CAN do it. There is grace to love Him freely and live for Him rightly even when it’s uncomfortable to our flesh and desires. We are living in a critical hour where MANY need to know of His great love no matter where we find ourselves in this world. This entry was posted in Kuert Life, Popular Posts and tagged #kuertlife, #madamoments, africa, christian, kenya, madagascar, missions, thankfulness on August 14, 2014 by Bailey Kuert.